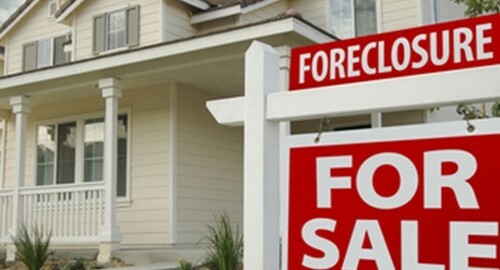 Real estate research firm CoreLogic recently released its National Foreclosure Report, which showed that the U.S. foreclosure inventory in December 2012 fell 19.5 percent compared to the previous year, declining from 1.5 million to 1.2 million homes. Completed foreclosures decreased 21 percent compared to a year ago. Additionally, the number of foreclosures in December was down 4.2 percent from November, accounting for approximately 3 percent of all homes with mortgages. Although foreclosures have decreased nationwide, there are still certain locations where prospective buyers can seek out these repossessed homes for significantly less than conventional sales prices. According to CNNMoney, real estate information company RealtyTrac revealed that Palm Bay, Florida; Rochester, New York; and Albany, New York are the top three best places in the United States to purchase foreclosures. In Palm Bay, for example, buyers can pay an average of 28 percent less for a repossessed home than they would for a regular sale. With the housing market in a state of steady recovery and home prices stabilizing, says CNNMoney, now may be a good time to think about buying a foreclosed home. Still, experts stress the importance of getting these properties inspected before signing a contract, as they are often sold as-is and may come with a slew of issues. As the housing market continues its recovery and more people are purchasing homes, lenders may want to invest in loan management software to ensure that borrowers can stay on top of their monthly payments.